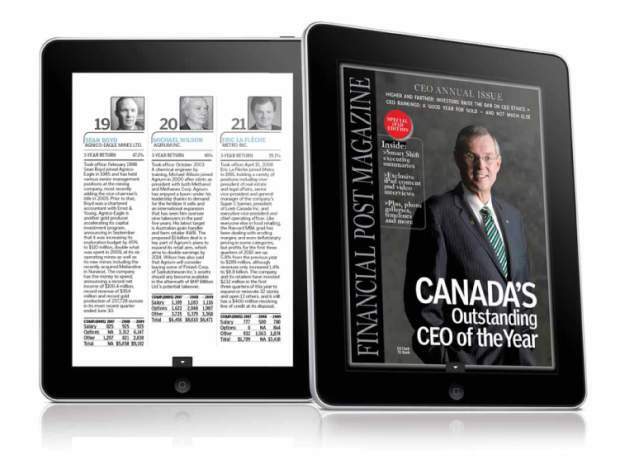 Financial Post Magazine wanted an enhanced version of their monthly magazine produced exclusively for Apple's iPad. The idea was to include bonus pages and iPad-exclusive video and graphics. At the time, there was no easy way to deliver frequent content updates to a magazine app. The framework we built for FP Magazine became the magazine publishing platform, Made with Magnolia. FP Magazine was the first prototype. Made with Magnolia were then able to use the same code base with different creative assets and feed URL's to publish iPad magazines quickly and easily. Several other publications were eventually shipped on the App Store using this code base.